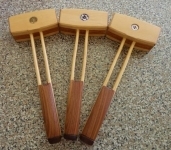 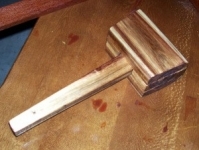 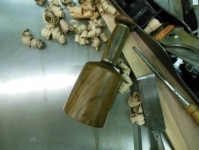 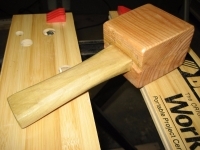 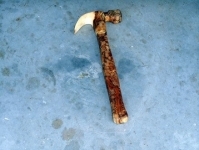 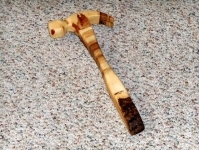 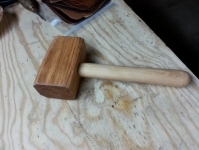 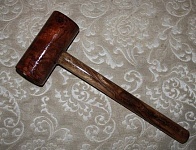 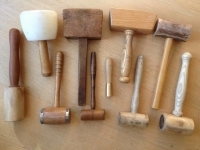 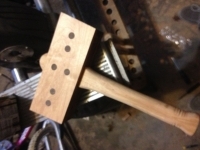 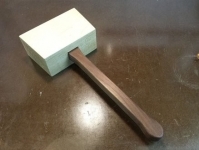 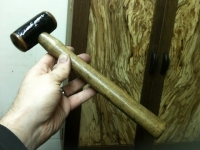 Homemade hammer fabricated from a 12 inch long, 3 inch diameter piece of maple and used for metal shaping. 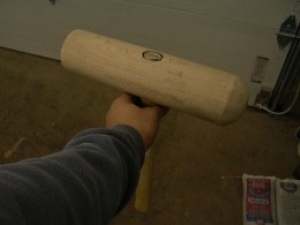 That's quite a brute! 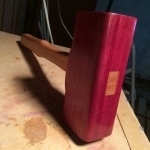 And pretty too!